Planning a wedding can be totally overwhelming. What is your style? How do you pull it all together? Well, finding your wedding inspiration can be easier than you may think. It can actually be quite simple. Just think of something that brings you and your fiancé joy. It doesn’t have to be anything elaborate or complicated … just purely you. For example, if you are a diehard bookworm or maybe you met you fiancé at a library. 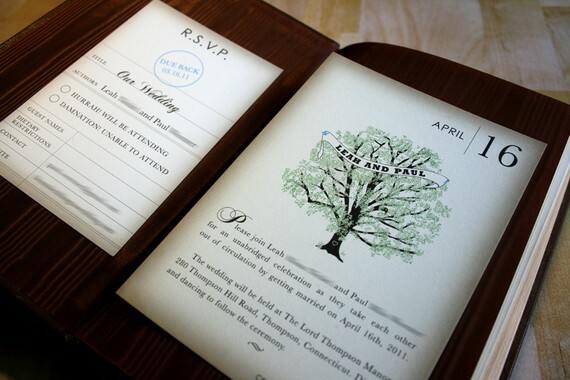 A book-inspired wedding could be just for you. 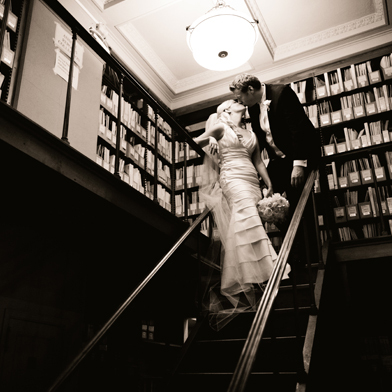 This might not be the obvious choice for a location to hold your book-inspired wedding, but imagine how magnificent would it be to hold your event at a library? It is almost like you are breaking all the rules, because you are not only turning up the music (instead of “shhh” -ing people) but you are also going to do it ALL night long! For all our local MN brides here are some local libraries that allow rentals for weddings. Moving on to invitations. 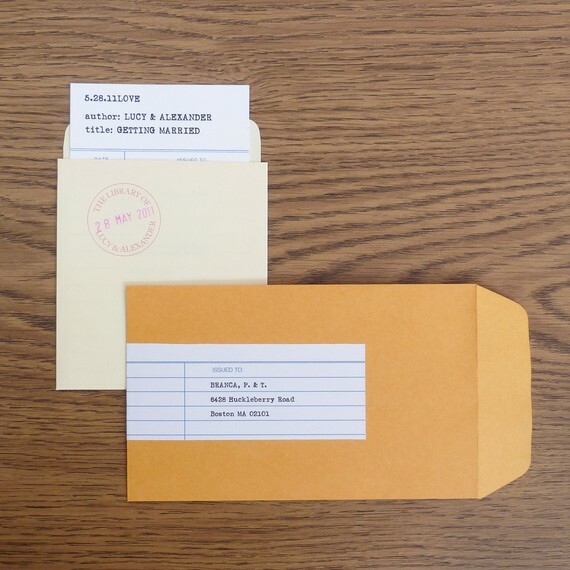 There are so many directions you can go with invitations, but personally I feel if you are going to have a bookworm, library inspired event then having library card invites are a must! When it comes to décor just think books, books and more books. 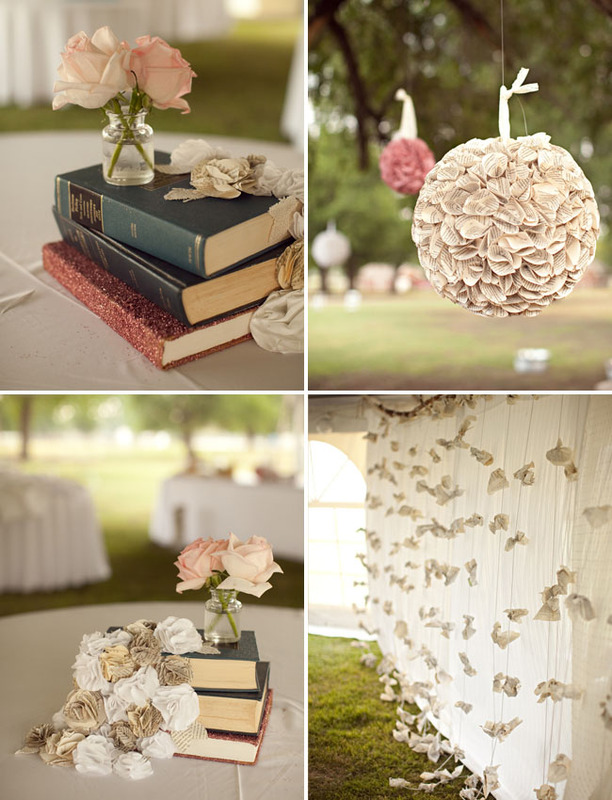 For my green-minded brides out there, what a better way to recycle old books. Stack them on each table and top them with your flower arrangements. 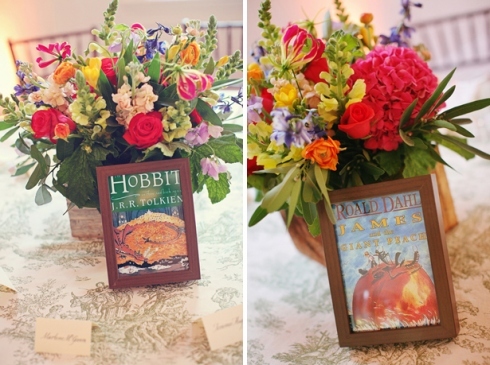 Use printed book covers instead of table numbers. 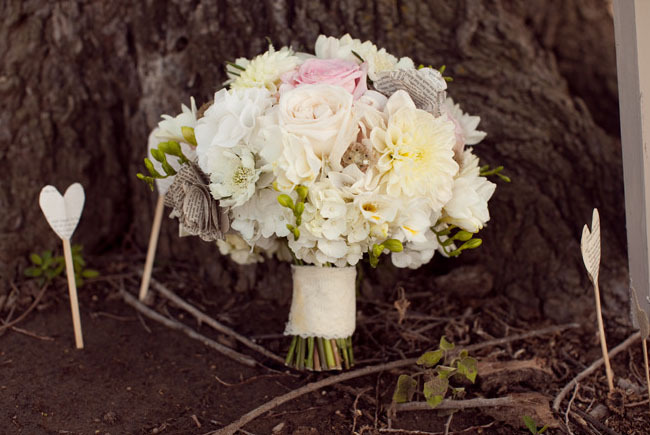 How beautiful is this bouquet?? Again, for my “eco-loving” brides … use recycled newspaper or pages from a book to create flowers to add in your books or make garland. Simply adorable! I hope I have inspired all you bookworms out there, and to the non- bookworms I hope I showed you how one simple concept that brings you joy can be turned into a beautiful wedding design. 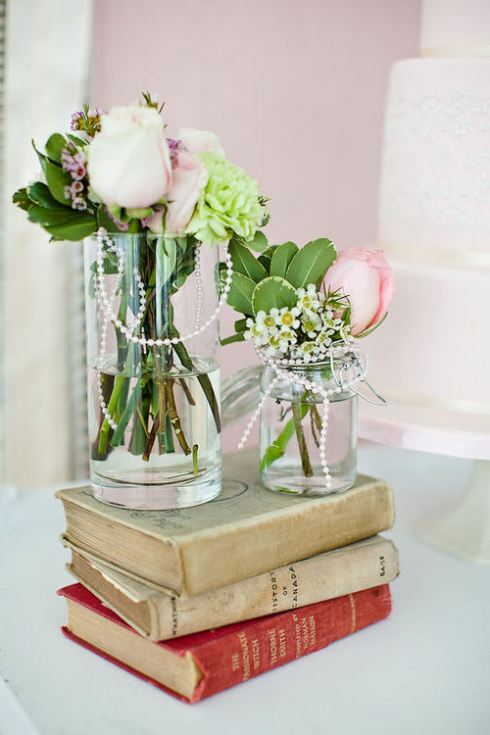 Posted in Lovely Inspirations and tagged book wedding, library wedding, minnesota bride. Bookmark the permalink.